The Seafront Tower i Sliema, Malta: Bestill nå! Boasting a seafront location and an outdoor swimming pool, The Seafront Tower is located in the heart of Sliema. You can find Fort Tigné and The Point Shopping Mall. 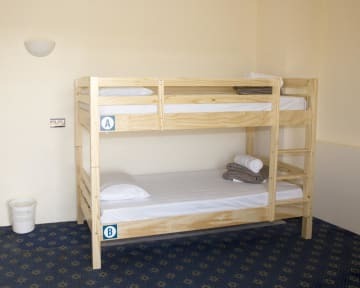 This hostel offers free Wi-Fi and air conditioning. Please note that the swimming pool is open from 01 June until 01 September.Vending machines are available on site for drinks.Please note that the swimming pool is open from 01 June until 01 September. Use of the pool is free, while use of the deckchairs comes at extra charge. The property is 350 m from the Sliema Ferries port, connecting to Valletta, the capital city of Malta. The nearest airport is Malta International Airport, 12 km from the hostel. The Sliema Tower is near The Point shopping mall. For airport transfers please leave us a message so that we can organise it. All dormitories at this hostel feature a balcony, and some overlook the sea. 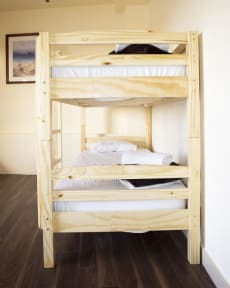 Each bunk bed comes with free bed linen and towels. The bathrooms are shared. Please note that the swimming pool is open from 01 June until 01 September. Use of the pool is free, while use of the deckchairs comes at extra charge.